If you don't have the usual scientific or mathematical background for an engineering degree, a foundation year is for you. After successfully completing the foundation year, which has modules in mathematics, physics and chemistry, you can start the MEng degree. Drawing on the expertise of Engineering at Sheffield, the MEng degree gives you a unique opportunity to experience the exciting breadth of engineering while developing practical and professional skills that are highly valued by employers. In an increasingly complex and challenging world, knowledge and expertise beyond a single discipline is valuable for 21st-century engineers. This interdisciplinary Engineering course will equip you with the professional and technical agility needed to excel in a variety of demanding environments. You'll study modules across all disciplines and look at engineering in an interdisciplinary context. 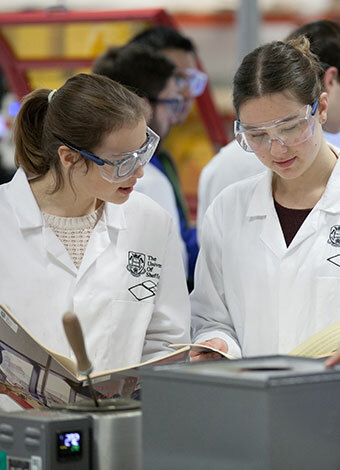 You'll also choose a specialism from one of the following streams: Aerospace Engineering, Biological Engineering, Chemical Engineering, Civil Engineering, Electrical Engineering, Energy & Sustainability, Materials Science & Engineering, Mechanical Engineering, Software Engineering and Systems & Control Engineering. We also offer a non-specialist stream, allowing you to continue studying a variety of disciplines. The interdisciplinary ethos of your degree will be continued in the group design project and an advanced research or industry-led project in the final year.